Dell's current TB3 firmware (NVM version: 16) does not seem to support eGPU. But with the recent AKiTiO Node firmware update flashed, the eGPU works as expected. I didn't manage to have the builtin laptop display work with eGPU, possibly due to lack of support in TB3 firmware. It's good enough to me to use the eGPU with external displays. Most of the time I have Optimus disabled as it sometimes breaks my Arch Linux after a kernel / driver update. With Optimus enabled and internal Nvidia graphics card disabled, it succeeded in rendering on the builtin display with the eGPU. Awesome stuff. Been wondering about the Dell Precision 3510, 7510 and 7710 myself. They should have a full x4 3.0 link. 1. Check your BIOS to enable an Optimus feature. You need the Intel HD iGPU to appear in Device Manager for the eGPU-accelerated internal LCD mode to be possible. Alternatively, if the iGPU is present when bootup with eGPU switched off then consider powering/plugging after BIOS post. Oh.. and could you post some pictures of your rig and eGPU enclosure?? Pretty please. Should look great... a quad-core high-end workstation tethered to a powerful eGPU. 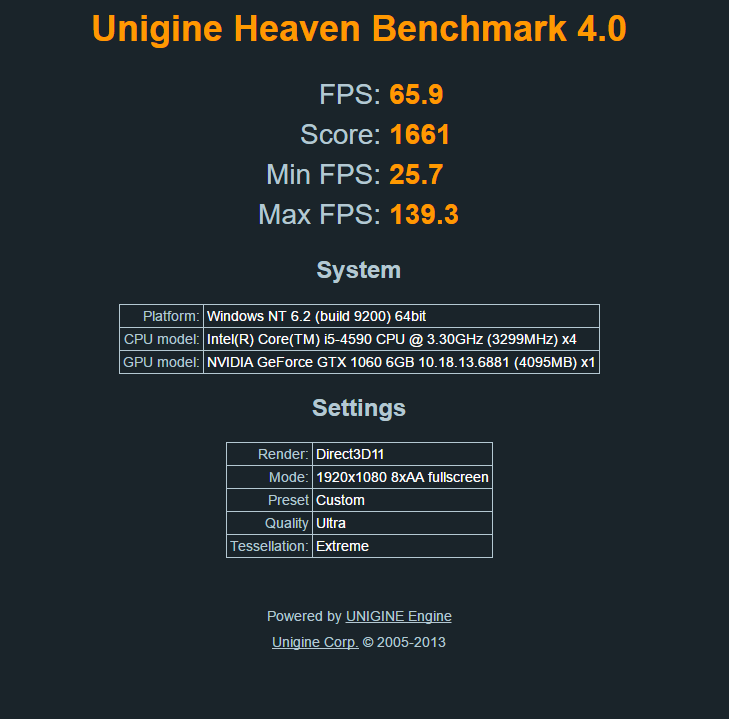 Can you run Unigine Heaven Benchmark with the same setting as on the picture! 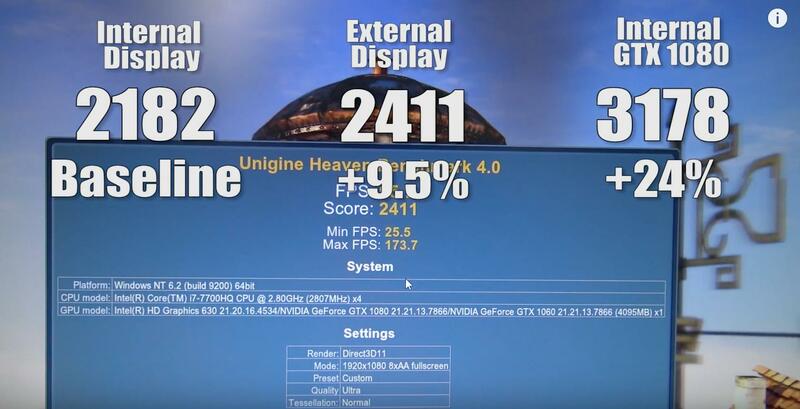 Dying to hear the results of the benchmark or the GPU-z. Thank you for taking the plunge, I bought my Dell 1510 for work and hoped I could hook up a eGPU for play. Thanks for the responses. I'm sorry for not having responded in time (been rather busy). I have updated the original post to include further details. Kindly let me know if I need to add any other info. Are games playable? It seems that they could be if one had a GTX 970 or rx480 8gb. Would I be correct in saying: Games should be pretty playable ~40 fps @1080p with some "older" AAA titles (like battlefield 4, crysis 3 or Witcher 3(no hairworks)) on high-to-ultra settings? (Granted external monitor would provide slightly better performance than internal laptop lcd). When i read about the XPS 15s TB Controller isn't connected with 4x Pcie3 I was worried about the 7510. But, like some other posts I can confirm that the Controller is conected with 4x Pcie3 as I can tell from hwinfo64. Since it worries me a bit, I would like to find out why there are these strange numbers about the host-to-device bandwidth in the configurations here. There are going on a few strange things with these Thunderbolt 3 Firmware Updates across the Industry. Are there so many different controllers around? I can only think of 5 different from Intel??? I've subsequently upgraded this post and entry in the implementations table from 16Gbps-TB3 -> 32Gbps-TB3, placing you near the top of the leaderboard. BTW, I would like to add this screenshot to the main post, in order to help any future readers. However looks to me the main post is too old to edit. Can you please help do that if you've got the privilege to? I've added the new CUDA-Z results to the opening post and sanitized the thread of it's half-H2D focus since that is now resolved. 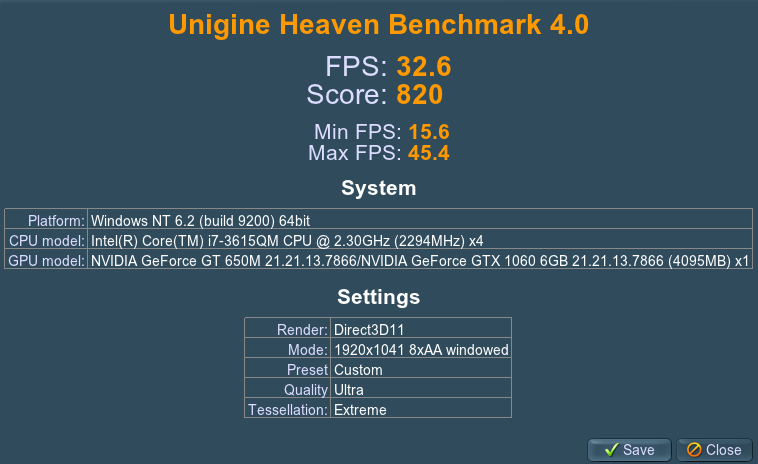 Can you re-do the other benchmarks for revision in the opening post as well? Pls see if you can edit the post yourself. Ensure you are using and logged into https://egpu.io rather than http://egpu.io. I'm interested in this laptop and planning to buy it since it has good keyboard and trackpad but is it require any further step to setup egpu on this laptop or just follow the instruction of AKiTiO and I can use it.